Planning the Ultimate Winter Wonderland Wedding! 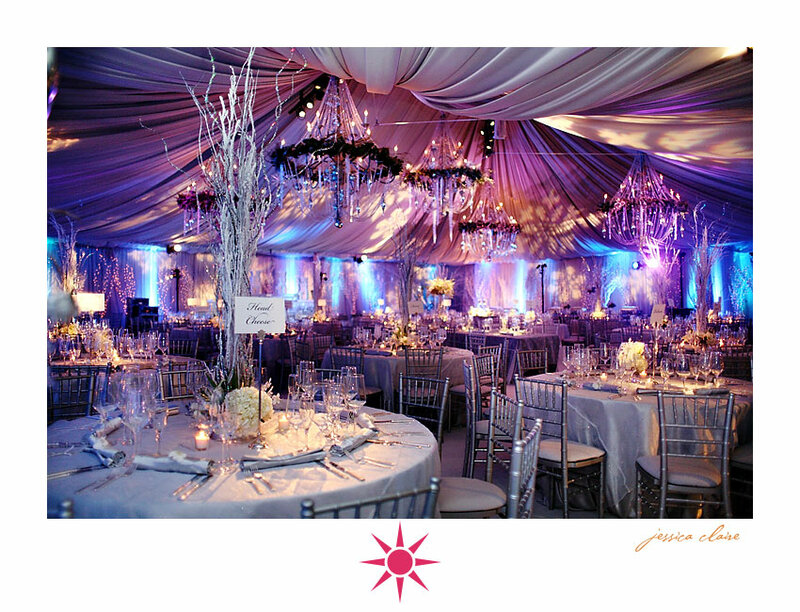 Turn your winter wedding into a winter wonderland with a few great ideas! 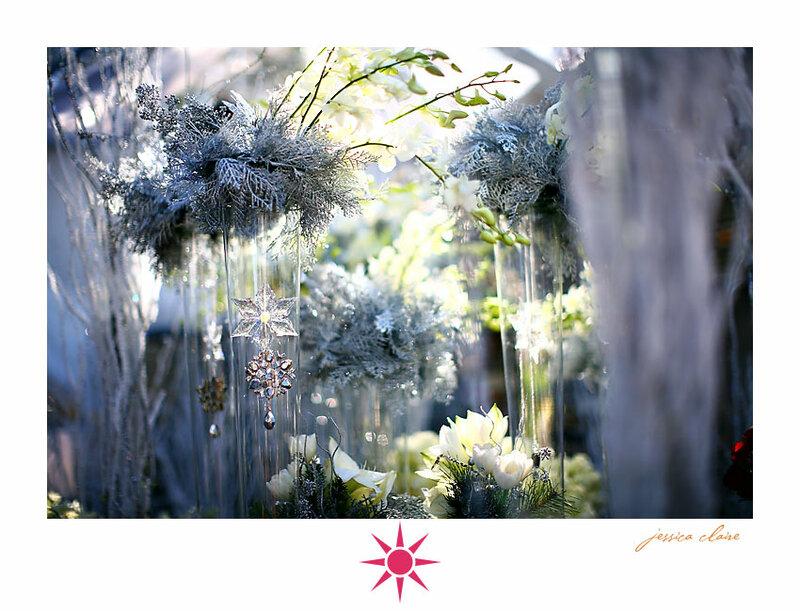 When planning for your winter wedding we love the idea of silver glistening in the soft glow of candles and white Christmas lights through out your venue. For a dramatic effect drape silver fabric through out your venue along the walls and from the ceiling. 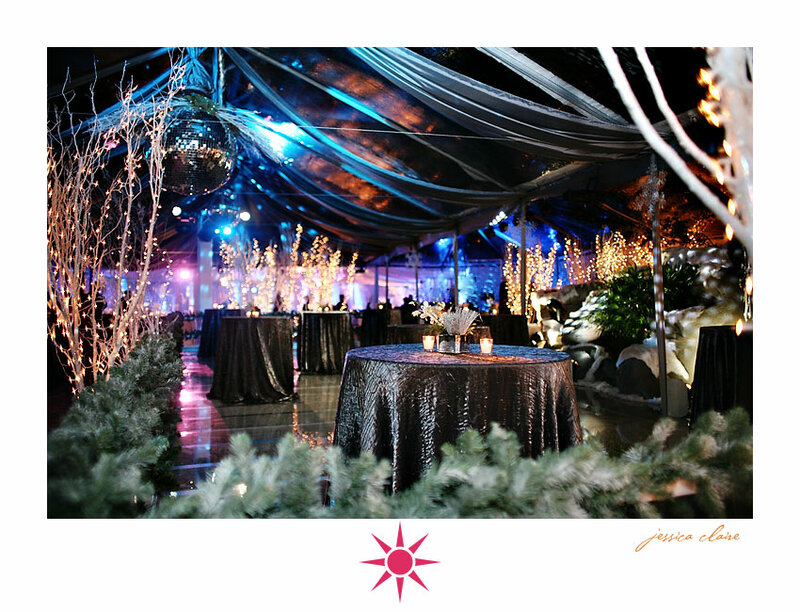 Using silver fabric through out the venue creates the feeling of being in an extravagant ice palace. A glass vase filled with greenery and dangling snowflakes creates a beautiful accent that can be featured through out the room. To save money, purchase fresh winter greenery and silver metalic spraypaint to replicate the look featured in our winter wedding. Elegant table cards, menus and stationery create a custom look for your wedding that carries the look and feel of your invitation stationery through out your venue. Visit www.theclassicinvitation.comto design your custom stationery. Combine your elegent stationery with a simple yet dazzeling centerpiece that won’t break your budget and doesn’t even require an expensive florist! Consider using branches and long twigs to create an elgant display. To finish the look you will need a white spray paint, silver spray paint and glitter spray paint. Take the branches a spray 3/4 of the branches white and 1/4 of the branches silver. Then take all of the branches and coat them in the glitter spray paint. Use a stand or tall vase to display. The finished centerpieces will create the look of winter trees covered in snow. For a winter wedding a disco ball is a plus. Create the look of snow flying in the air with the sparking light of the disco ball. You can easily rent or purchase a disco ball at a party store or party rental vedor. 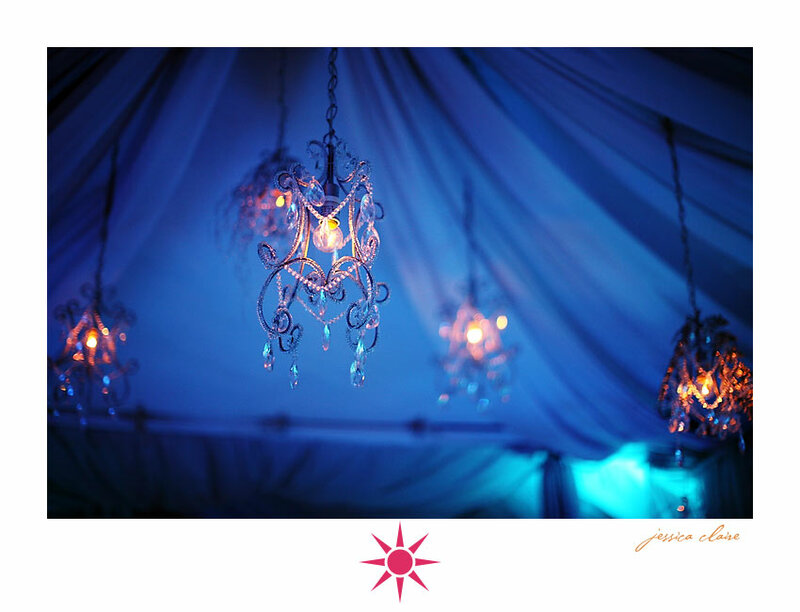 Mini chandielers dangling from the silver fabric ceiling will add sparkle and ambiance to your venue in an elegant fashion. 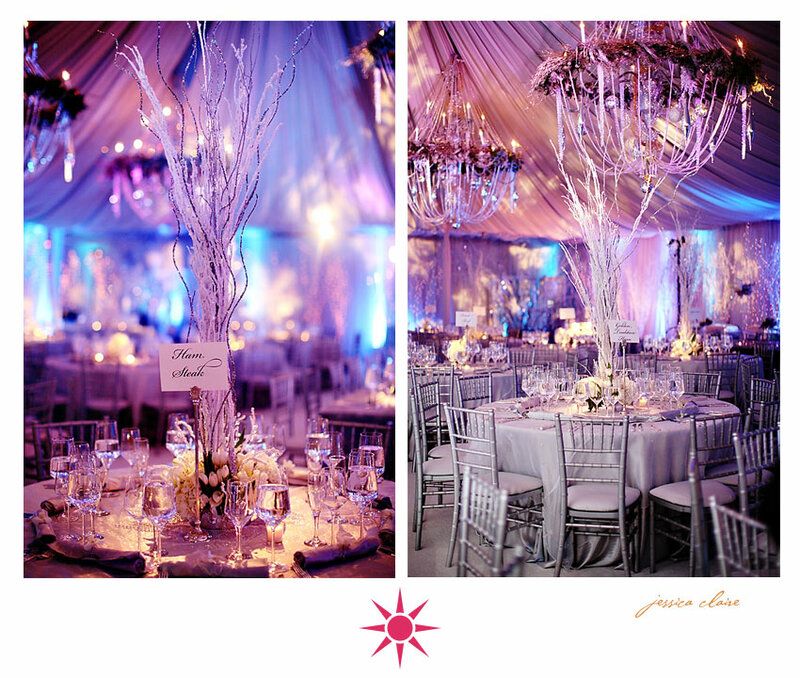 Adding crystals to the chandeliers will help create the effect of snow in your venue. 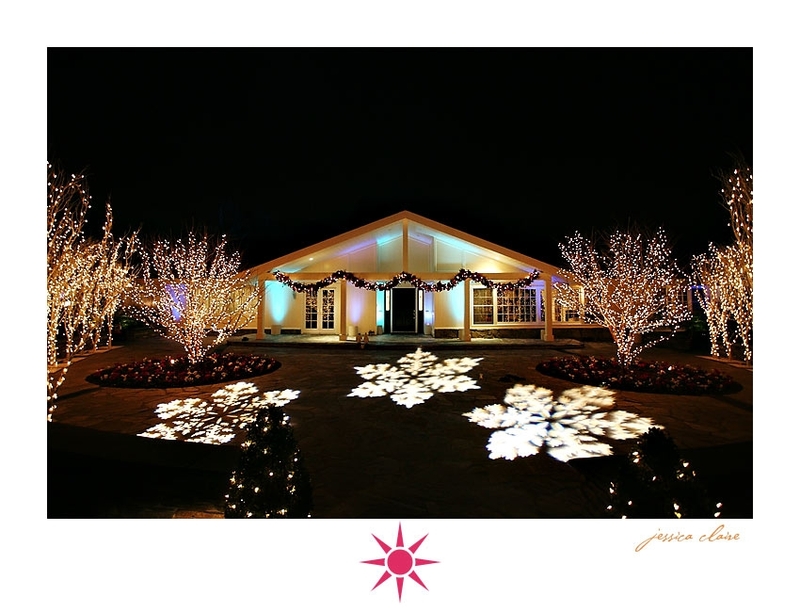 Welcome guests and prepare them to enter your winter wonderland with a beautiful winter display outside your venue that is gorgeous and easy! A favorite photographer of mine www.jessicaclaire.net shot these beautiful photos. Please visit her website. Need stationery to coordinate with your own winter wedding? Contact The Classic Invitation at http://www.theclassicinvitation.com. This entry was posted on Thursday, November 20th, 2008 at 3:58 am	and posted in Wedding, wedding stationery, wedding style, weddings, winter wedding. You can follow any responses to this entry through the RSS 2.0 feed. « Find us on Martha Stewart Weddings!